From the Adele collection, this polished timepiece offers timeless glamour with a modern edge. 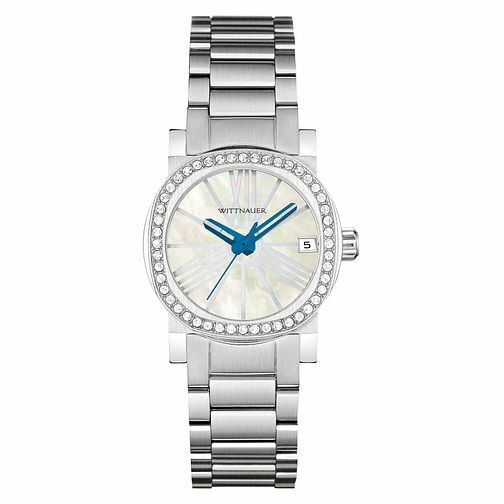 This stainless steel model is encrusted with crystals around the bezel and features a mother of pearl dial. Roman numerals at the 12, 4 and 8 indicators; and the blue tipped hands, create a truly classic look which can be worn from day to evening.